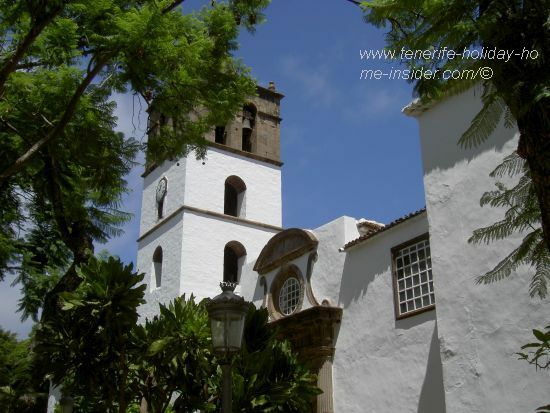 Icod de los Vinos or Icod of the Wine is a 95.9 square km big Tenerife municipality. It has mostly fertile rolling hills, while bananas grow near the coast and wild asparagus grown inland. It's blessed with climbing clouds which provide the vital, prime rainfall. 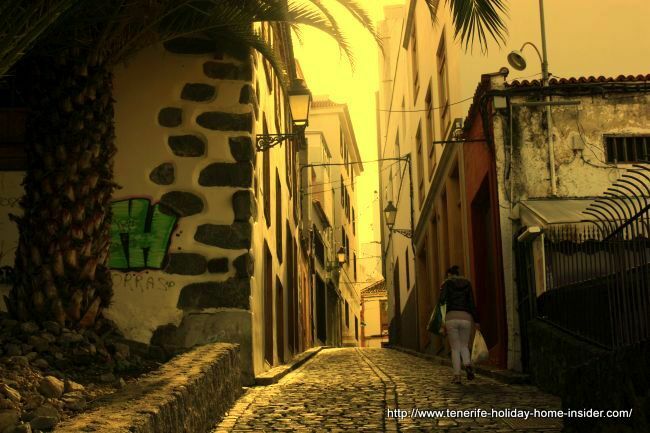 The town dates back to the days of the island's conquest on behalf of the Spanish Kingdom of Castilla and Leon. 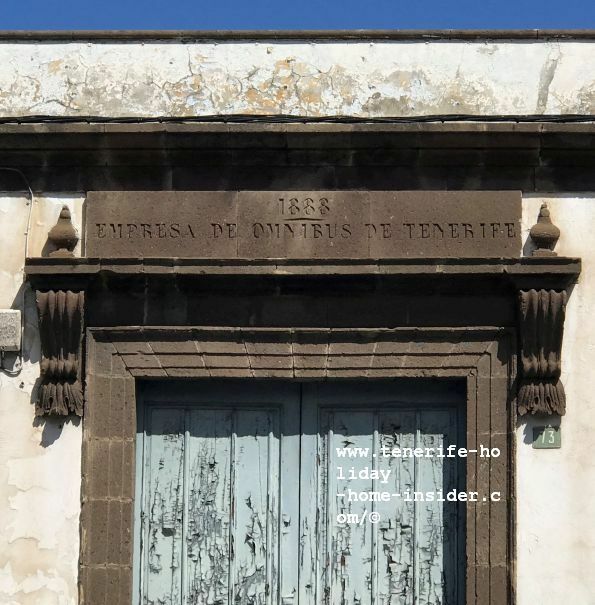 Icoden Daute Isora, as called by its former aboriginal people the Guanche, has now at least 34 Catholic churches and chapels. This is proof of almost as many country estates, plantations, vineyards and a big rural community. Icod de los Vinos Casco Antiguo old quarters with Plaza de la Pila the hub that leads to all attractions around it. Calle San Antonio a steep cobble stone street at Plaza de la Pila alias Plaza de la Constitución. 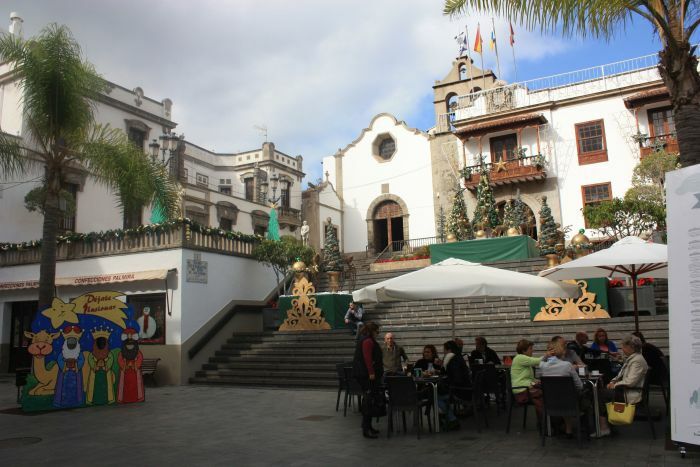 Main square de la Pila of Icod the wine town seen with central fountain from the shop Bodega Casa de los Reyes. 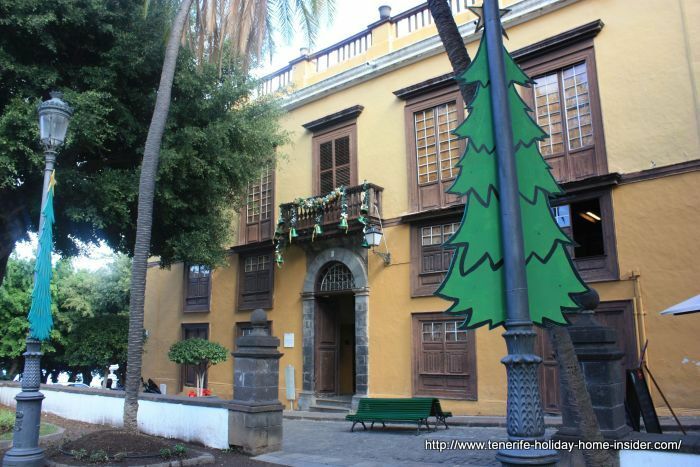 The museum at number 9 of Plaza de la Pila is a small replica of the real amazing Doll art Museum ARTlandya of Santa Barbara. News: Sorry, the small museum outlet in town has been closed, as I noticed in March 2019. Plaza de la Constitución with a fraction of the mansion of the museum Casa de los Caceres on the left. Plaza of Icod de los Vinos without Pila but with museums number 5 and 9 as well as the gorge Caforiño in the background. Museo Malvasia of number 5 represents Shakespeare's most praised Canary wine. There, discover its unique way of distilling the divine beverage. 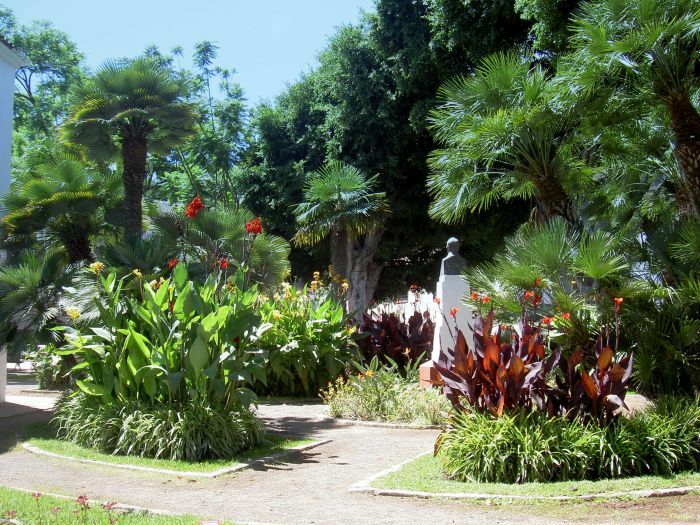 Wine tasting is possible inside as well as in a charming wine garden where even Tropical Surinam Pitangas grow. Museum Casa de los Caceres on Plaza de la Constitución number 1 nowadays a mansion with cultural center mainly. 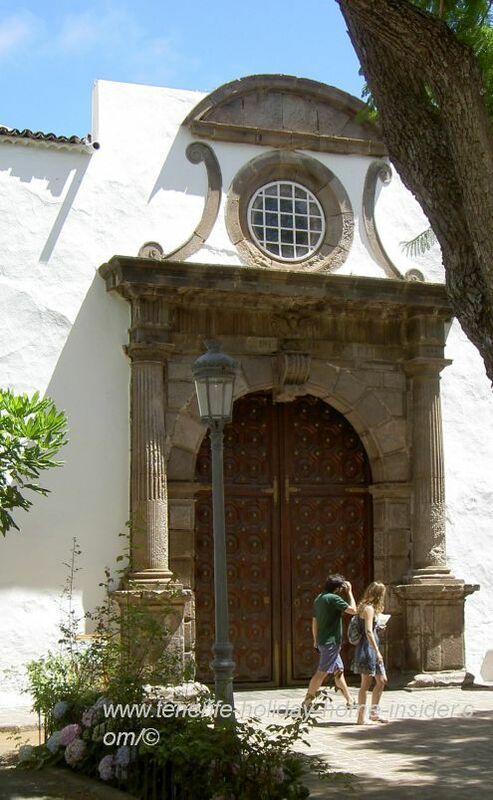 Museum Casa de los Caceres street portal where it faces the entire Plaza de la Pila. 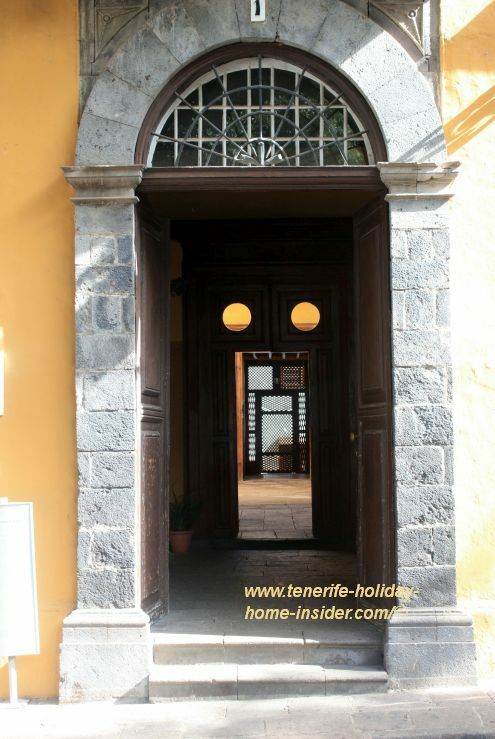 Casa de los Caceres inside with its superb traditional architecture restorations of wooden stairs, elegant pillars and more. 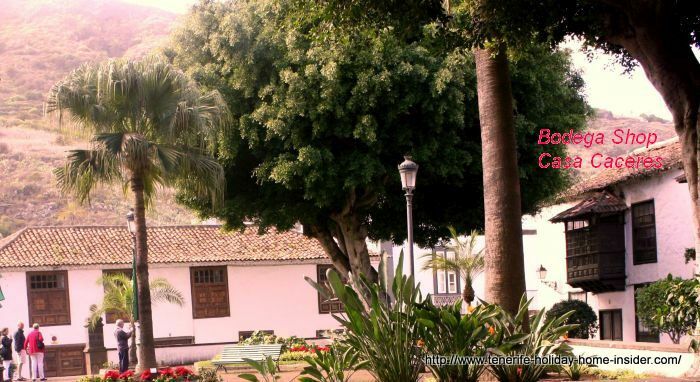 Find the entrance to the park of Drago Milenario within a few meters after the Museo Malvasio on the same street side. Drago Milenario with gorge Caforino background and a market stall in front. 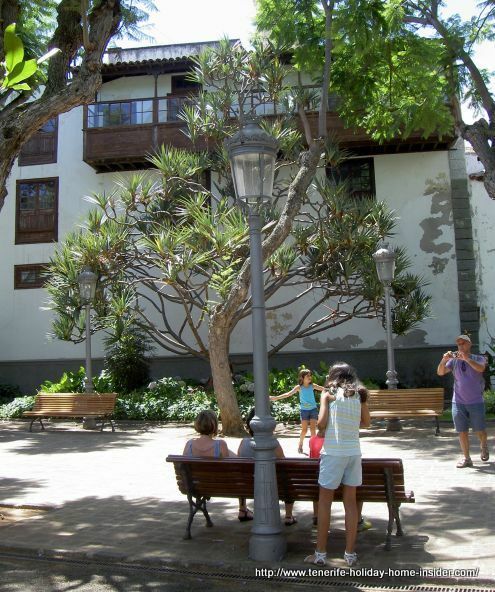 Of course, you can also admire the renown dragon tree from Park Parque Lorenzo Caceres. That's by the main church Iglesia Matriz de San Marcos of Icod de los Vinos. This church from the 16th century has been subject to major restorations which are now finished in 2019. It's also said that it houses the biggest and heaviest of most beautiful silver filigree crucifixes of the world with a weight of 47 kg. 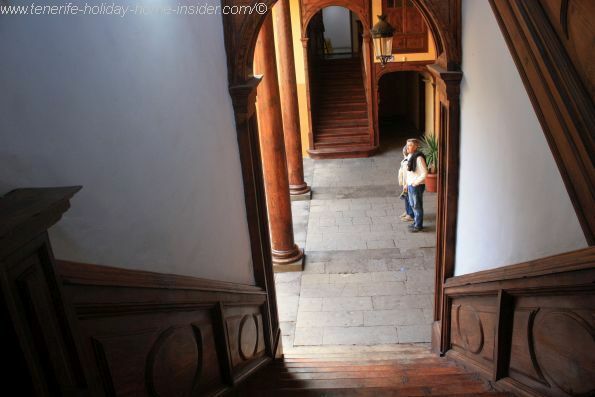 Another must see is the Ex-Monastery the Convento de San Francisco from 1641 with its outstanding architecture. 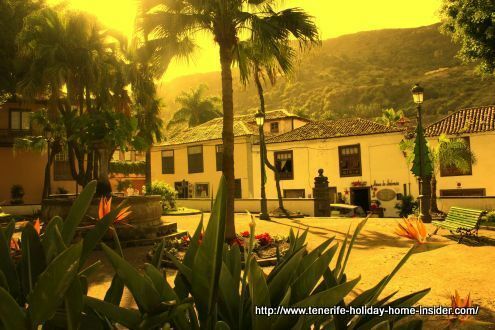 It also has one of most important libraries of the Canary Islands. 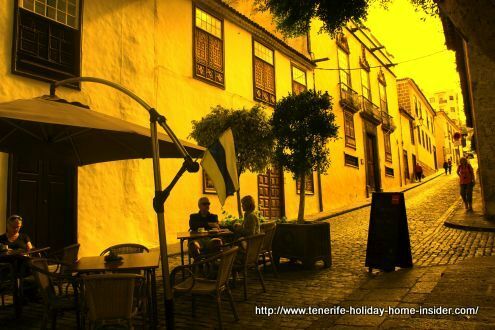 Tourist information building in calle San Sebastian opposite Plaza de Lorenzo Caceres. 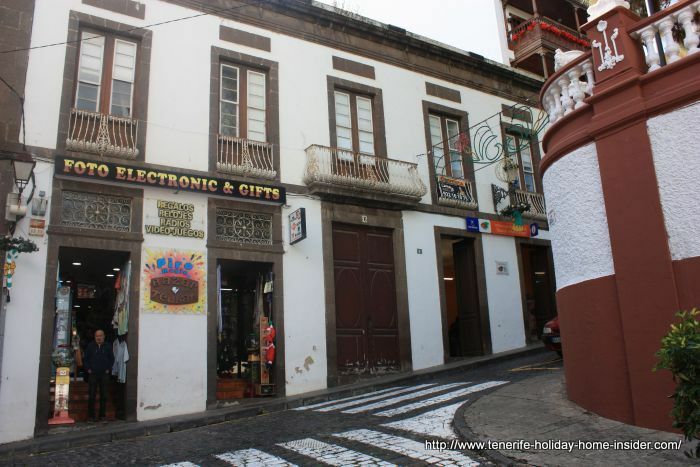 Calle San Sebastian main pedestrian street and open zone shopping center with bars and restaurants. 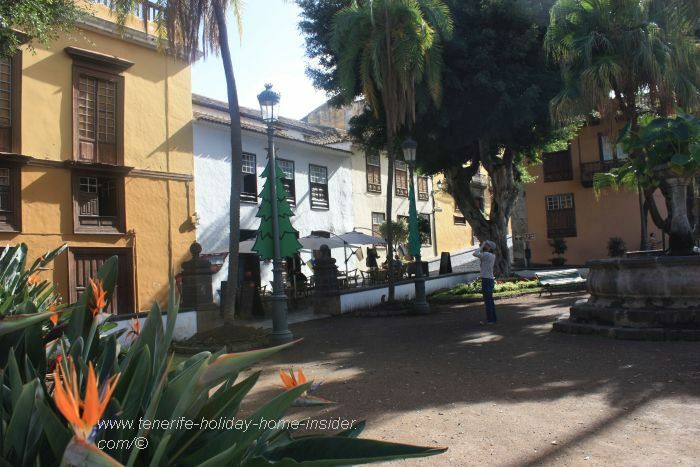 Plaza Luis de Leon Huertas with Town Hall for occasional events and shows. Indeed, Calle San Sebastian connects Plaza Lorenzo Caceres the one with the Kiosko and Plaza de la Pila with the town hall, post office and more on its way. 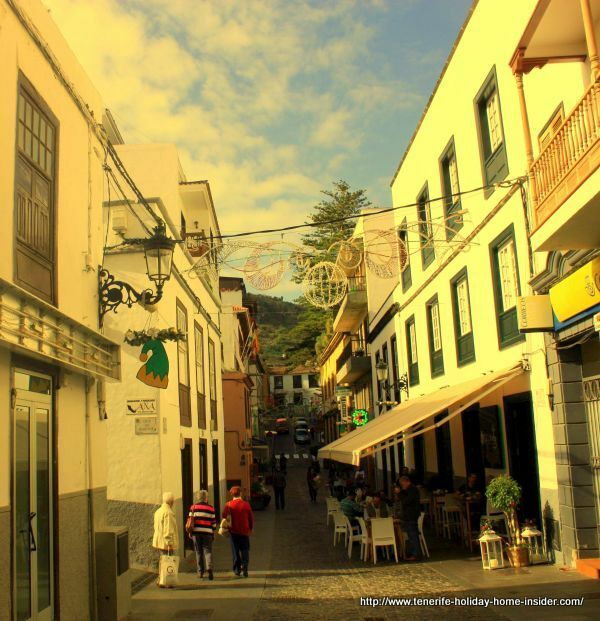 In the middle of this commercial street is a pedestrian alley called Paseo de Suceso. It's a shortcut option to walk to the Dragon tree parking grounds. Calle Buen Suceso connects Calle San Sebastian and is reached by stone stairs to the left of the Drago parking ground. Museo de Mariposas the Butterflies below the high walls of Plaza de Lorenzo Caceres on its Nortwest side. Turn left by the petrol pumps and reach the Titsa bus station about 40 meters on your right. The beauty of it all is that everything seems to be in one small hub of the old quarters. 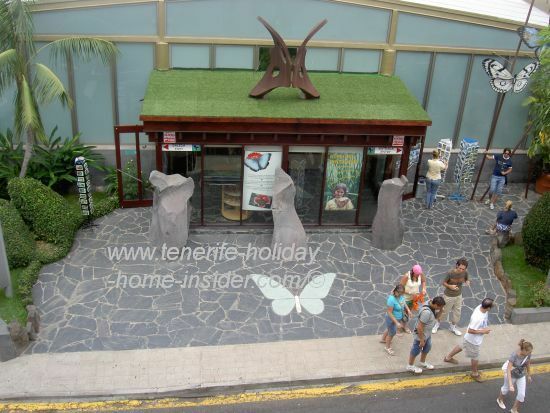 Even the museums Museo de Mariposas and Museo del Guanche with its life size figures are very close. Find the latter in the shopping mall C.C.La Magalona. 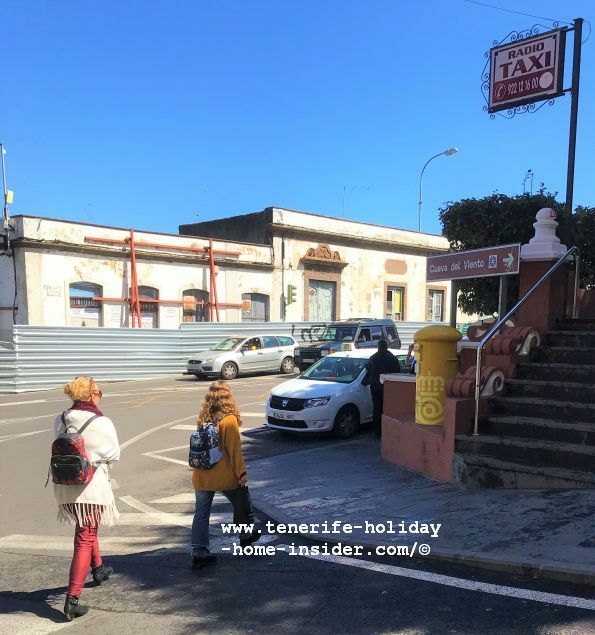 A Mercadona Supermarket is in in Calle Hercules. 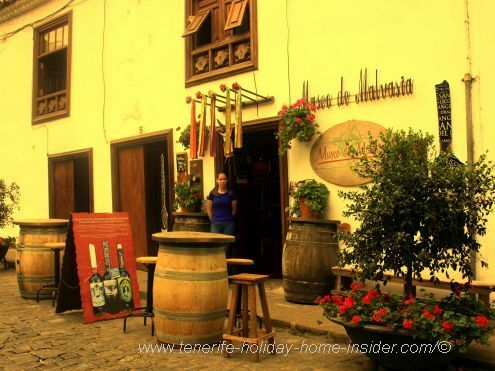 Indeed, it makes it a joy of an easy task to explore this historic wine town district. Indeed, the town of Icod was leading for the public bus services of the island, long time ago. In fact, today's town of the former Icoden is still an important cross roads for many vital bus lines. 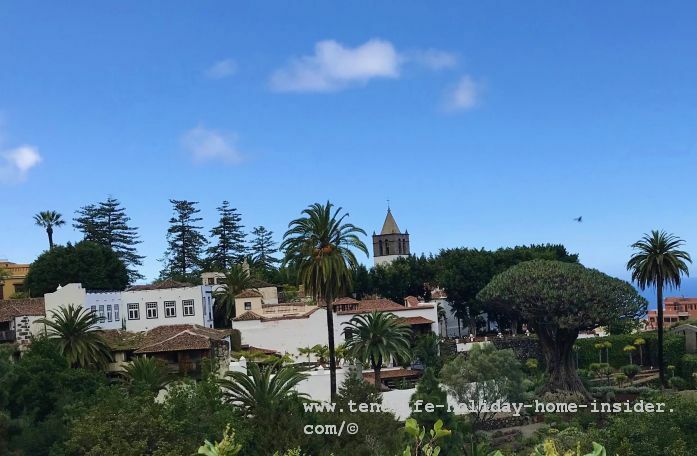 They don't only take you to the town's suburbs, some of which are on the mountain slopes, such as Santa Barbara with its doll art museum. There is also one for the Icod hospital. 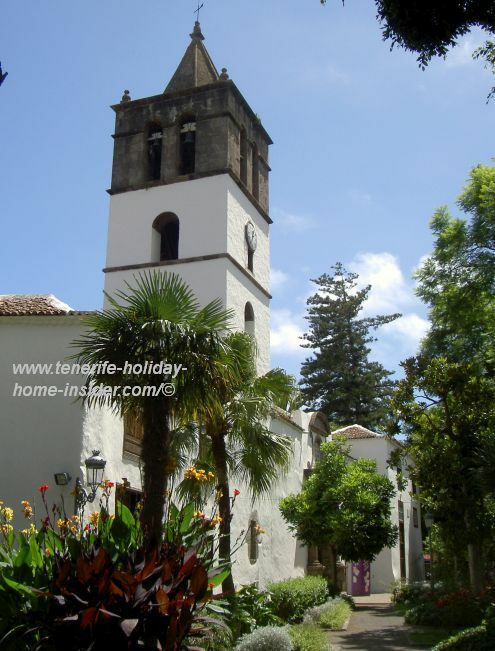 They go as far as La Guancha, Erjos, Santiago del Teide, San Jose, Los Realejos, La Orotava, Santa Cruz, Santiago del Teide, Los Gigantes and Playa de las Americas to name just a few. Did you detect a bus to a Playa? 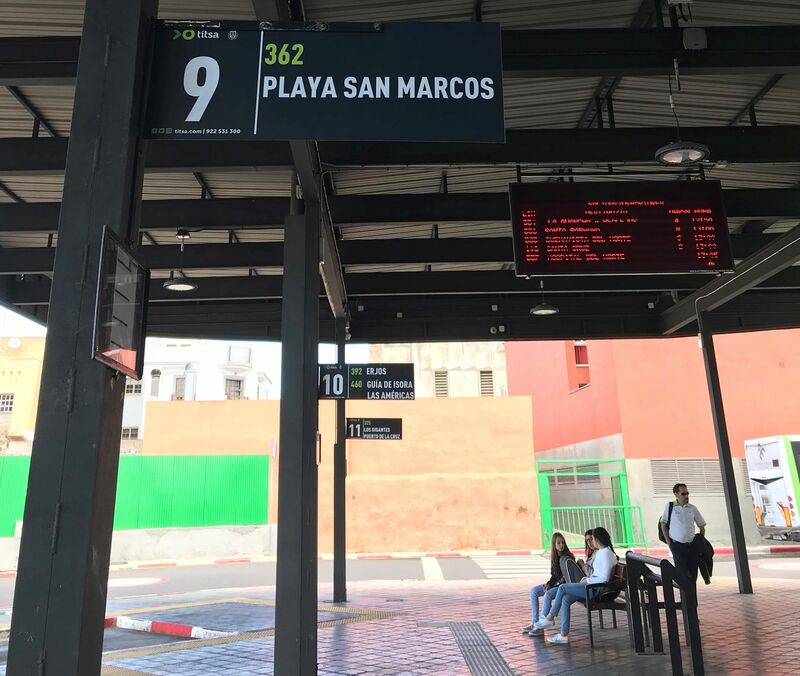 Indeed, it is bus number 362 to San Marcos beach. The Fiesta of San Andres would make any stuntmen proud. Then, the town youth and those young at heart race down steep roads on noisy boards. Gigantic heaps of tires welcome them on the bottom but ambulances are also on standby in the vicinity. The ancient tradition goes back to wine barrels. They were rolled down from the mountains to the harbor with a similar noise. Wine tastings which always go back to the 2nd last harvest are also part of the festivities. Icod de los Vinos Cueva del Viento not being nearby. Icod also has Europe's longest Lava tube. This so called Cueva del Viento which has several entrances is one of the biggest on earth with a length of almost 10000 feet. 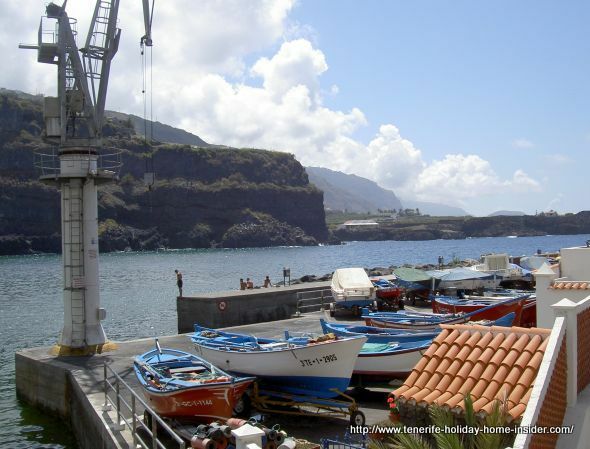 It is of high geological, volcanic and even biological interest. It became one of the most extended mausoleums for skeletons of giant rats and lizards which are extinct. However, it can't be explored to its origin because of rising dangerous conditions. It may be followed in direction of the coast, though. Some dripping water petrified in the seemingly endless and irregular shaped tube. Nevertheless, it's not a typical Stalagtite cave. An online permit to enter it must be downloaded for your protection. 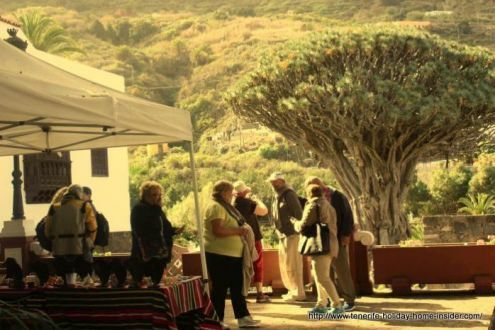 Expect a taxi ride of about 8km from the bus station to a plantation from where a hiking path leads to the Cueva del Viento volcanic Tube. Important Ycoden holidays besides Easter and Christmas? The Icod de los Vinos Drago Milenario grew so old (between 800 and 1000 years) in its protected gorge thanks to a seemingly endless supply of water and a subtropical climate. The water comes from the gentle, moist Alisian winds from the ocean that are captured by Pines from where they drip into the ground. 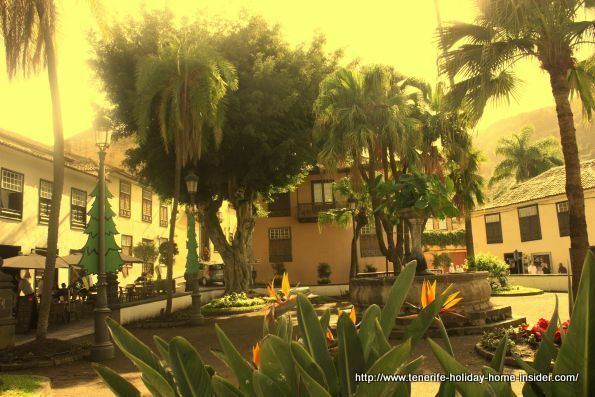 This Tenerife area has more than ten water springs, many of which are wells while others are known as fountains. Furthermore, about 40 underground tunnels channel the water that were brought by the Alisian clouds. It's likely that two or three of these so called water mines within dynamited rocks have been closed for being unsafe. Fishing and beach Playa San Marcos. Ships are not built any more for the king of Spain but fishing boats may need attention. Fishing helped the community of the province much during bad and good times. However, modern red tape seems to be a big hindrance to continue the ancient trade of direct seafood sales. Playa Beach San Marcos which used to be the bay for both men and women of this guild is now rather an Icod de los Vinos leisure beach for tourists and locals alike. 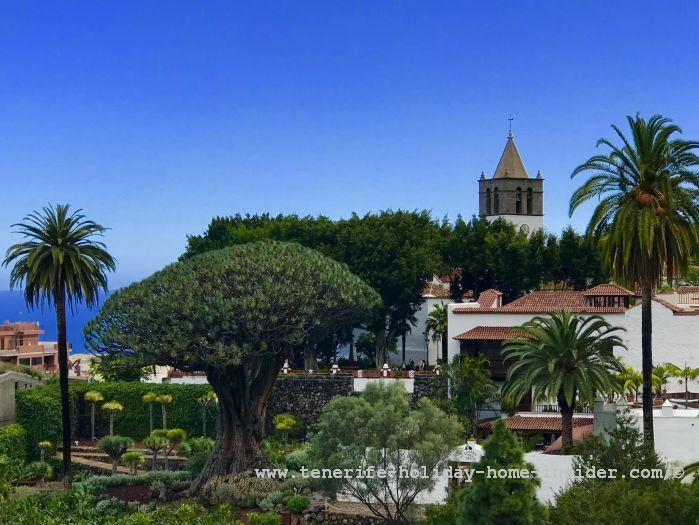 A hiking path of about 1km gets you from Santa Barbara farm lands to serene pine groves of Tenerife with majestic views of Mount Teide. From then on the going gets easy. Holiday homes by Icod de los Vinos. Very picturesque accommodation by Amparo and Cuevas del Viento. Some of it is in a 200 year old mansion that has been renovated in 1995 with patios and/or balconies and more. There are many options. Mind the location is high up 325m above the sea and 2,5km from beach San Marco. Some apartments were available for as little as €9,95.